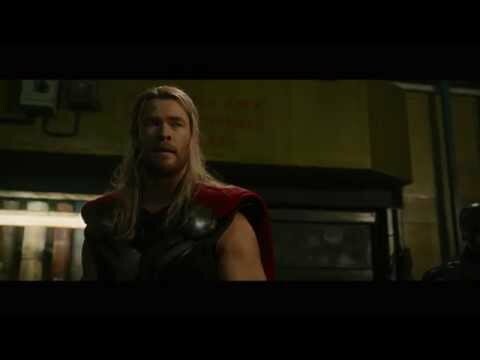 List Rules Your favorite Avengers: Age of Ultron quotes. Avengers: Age of Ultron movie quotes bring the crime-fighting superhero crew back to theaters for a sequel to the 2012 Marvel film. Written and directed by Joss Wheldon, the film is based on the characters in the graphic novel The Avengers by Stan Lee and Jack Kirby. After much anticipation, Avengers: Age of Ultron opened in theaters on May 1, 2015. In Avengers: Age of Ultron, Tony Stark (Robery Downey Jr.) creates Project Ultron, which uses artificial intelligence to create a self-aware, teachable android that is meant to help keep the peace. So when Ultron (voiced by James Spader) decides that he doesn't want to keep peace, rather exterminate all humans this creates quite the problem. So the Avengers, including Captain America (Chris Evans), Thor (Chris Hemsworth), the Hulk (Mark Ruffalo), Black Widow (Scarlett Johansson) and Hawkeye (Jeremy Renner), gather to stop Ultron from exterminating mankind. Along they way, they meet some old friends, including Nick Fury (Samuel L. Jackson) and Maria Hill (Cobie Smulders) plus encounter some new foes, such as twins Pietro (Aaron Taylor-Johnson) and Wanda Maximov (Elizabeth Olsen) and Vision (Paul Bettany). Avengers: Age of Ultron is the first big summer blockbuster of 2015 and opens alongside films including The Water Diviner, Adult Beginners The Age of Adaline True Story and Ex Machina. Ultron: Don't compare me with Stark! He's a sickness! Tony Stark: Aww, junior, you're going to break your old man's heart. 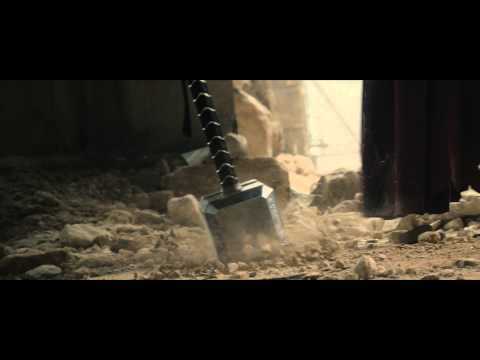 Thor: Nobody has to break anything. Ultron: Clearly, you've never made an omelette. Tony Stark: You beat me by one second. The Avengers and Ultron come face to face. But before they get to the brutal fight that you know is coming, they trade a few verbal jabs back and forth. Nick Fury: Now here we are with our wit and our wills to save the world. So stand and fight. Nick Fury offers some simple and to the point words to get the Avengers pumped up for their upcoming battle. It is incredibly effective. Ultron: I know you're good people. I know you mean well. But you just didn't think it through. There is only one path to peace, your extermination. Ultron realizes that the Avengers are going to try their best to stop his plot of human extermination but assures them that he will prevail. Not to spoil anything but it wouldn't be a good superhero movie if the bad guy wins, right? Natasha Romanoff: Am I always picking up after you boys? Natasha finds herself in a familiar position when Captain America loses his shield and she is in a prime place to pick it up for him. She's always picking up after the Avengers, and quite good at it.